Wes is in Marietta for a business deal when his dad signs him up for the Bachelor Bake-Off. Wes can't say no to charity, but he doesn't know how to bake. Fortunately his five-year-old niece Annalise has the perfect solution. She's taking dancing lessons with Noelle and thinks her teacher is great. Noelle can bake as well as she can dance, so Annalise thinks she's the perfect candidate to teach Wes how to make cookies, cake and pie. What will happen when Noelle and Wes get to know each other better? A Recipe for Romance is a wonderful romantic story. Wes is a handsome man. He's good at making business deals, but he also has a kind heart. Noelle is a talented dancer. After a terrible accident she had to give up her professional career. She loves being a teacher and can still make a living from her passion. I admired her strength. They both get a little help from Annalise. 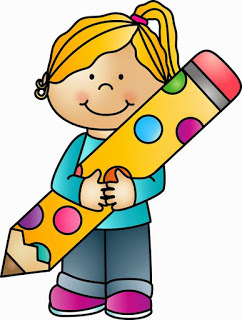 She is such a cute little girl and reading about her put a big smile on my face. I love stories about true love and this one is even more special because it gets plenty of help from an adorable angelic girl. Marietta is a lovely small town. It's the perfect setting for a romantic story. Lara Van Hulzen writes about an incredibly wealthy family and it was fun to see the town through their eyes. The St. Claires have been through a lot and they use their money for good things, which makes them quite likable. I kept hoping the members would all find happiness again eventually. 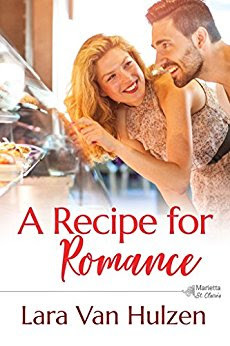 I loved A Recipe for Romance, it's a fun and sweet story. Michael is a dedicated father. He is a widower and raises his daughter Annalise with the help of his family. He used to be a race car driver and would love to follow his dream once more, but that means he needs help with his daughter. This comes in the form of a drama teacher. Franchesca needs money, so she can give her mother the best possible care. Next to giving lessons she could earn an extra income by taking care of Annalise. This would be a win-win situation for both her and Michael. However, are Michael's intentions purely professional or is he also hiring Franchesca to be able to spend more time with her? Winning His Heart is a great story about loss, love and second chances. Franchesca is brave and fierce. She's a wonderful lady with plenty of talent. Michael is a gentle man with a troubled past. I couldn't turn the pages quickly enough to see if they'd have a chance together. Annalise is a cute girl and it isn't hard for Franchesca to fall for the package deal. However, she also has dreams for the future and they aren't easy to combine with a family. This made interesting reading and I kept hoping she and Michael would find a way to have their happily ever after while still following their hearts. Lara Van Hulzen has a nice easy flowing writing style. I loved the way she writes about the St. Claire family. She makes them come to life incredibly well. Living in Marietta suits them and it's fun to see how each member loves to spend time in their big house in the small city. The family scenes are heartwarming and cheerful and I like every single St. Clair family member. 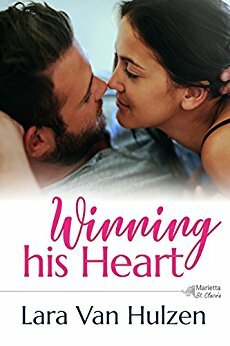 Winning His Heart is a fabulous romantic feelgood story. Lucas wants to get married in Marietta. His bride-to-be, Vanessa, is a city girl, but she wants to give Lucas his countryside wedding. She's even found the perfect location, the Tanner ranch, Erin's home and business. Erin and Lucas used to be good friends and Lucas is the one for Erin. She's loved him ever since she was a teenager. Seeing him with someone else is a huge blow. However, Lucas isn't completely immune when it comes to Erin either. What will he do, is he going to ignore his feelings for the girl he used to dream about when he was a teenager and marry Vanessa or are his feelings for Erin too strong? 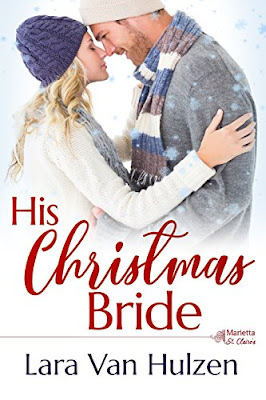 His Christmas Bride is a terrific festive story. I love reading about weddings and Christmas is such a romantic time to get married. Lucas might not have chosen the right woman though and I couldn't turn the pages quickly enough to find out if he'd go through with his intended wedding or not. It's clear from the start that Erin is perfect for him and I was hoping he'd discover the true nature of his feelings. The question is if he'll see sense in time and this kept me on the edge of my seat. 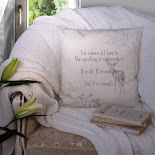 Lara Van Hulzen has chosen a fantastic setting for her Christmas story, a beautiful ranch that could use some work. I liked how Erin loves her family home and how hard she works to keep it going. It gives the story an interesting and irresistible angle. His Christmas Bride is a story about money versus no money. In love money shouldn't play a role though and I loved the message Lara Van Hulzen gives her readers. His Christmas Bride is a wonderful story filled with beautiful romance, countryside charm and plenty of surprises. The Marietta St. Claire books can be read as standalones, but the stories are about siblings and family life plays a big part in each of them, so I'd advise you to read them in their correct order instead. Fantastic covers and sound great all three books! All of these sound wonderful and such great covers. I'm looking for new books for my holiday reading list. Thanks for sharing. This looks like a sweet romance. Love the review. 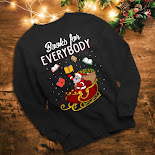 I love when each book in a series stars characters from previous books. 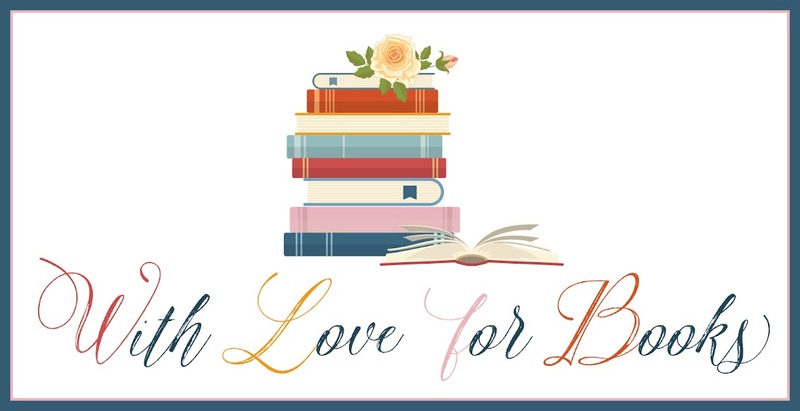 It certainly seems that if you love small town romance & HEA's then Lara Van Hulzen is the author for you! These sound like sweet stories. I love feelgood Christmas stories.